When we practice our service we focus on using the highest quality materials on the market for your sliding door repair. 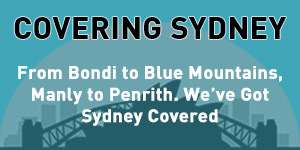 Our focus is on sourcing the highest-quality rollers that are Australian made. When we repair your doors, we will show you the exact rollers we are using the difference between your current rollers and our ones. Once you see the difference, you will know why your old rollers had such a limited life span. In addition, we like to support local Australian businesses where possible and have found their products have performed longer over time. We, of course, are interested in communicating with other Australian businesses that produce and/or sell quality sliding door parts & products. We are highly diligent and careful when it comes to glass. Modern standards of glass such as toughened and double glazed glass require expertise and care when handling. Older glass, installed before increased glass regulations, is generally brittle and even dangerous to work with. So, we like to have full cooperation with our clients in having a safe work area ready for us to repair your door. Especially when it comes to shower door repairs. slide bolts where the fasteners securing the lock to the sliding panel may have already chipped or cracked the glass. This may not even be visible because it may lay beneath a rubber gasket or seal. We will be completely honest about the task required. If our work has commenced and we recognise previous damage, or even if the damage is unknown, we will tell you straight away. When you give our team a call, we’ll ask a few specific questions and get clear on the job so we can quote you accurately. 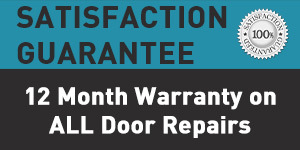 We’ll tell you exactly how much your door repairs will cost. As you can appreciate, we cannot take responsibility for the glass if it breaks further due to a past issue out of our control. If any damage is done and the responsibility is ours, do not be concerned, because we are fully insured. We understand the many complications of door repairs, especially to older sliding doors. To speak to, or email one of our service representatives see our Contact Us page for a free quote on your sliding door repair. We look forward to helping you get a fast and cost-effective solution to your sliding door challenges. Your door will slide like new again.